New updates to the Fukushima Dai-ichi Nuclear Power Plant disaster in 2011 have been released following a recent study of Fukushima Butterflies. The study was headed by Jogi M Otaki of Ryukyu University in Japan and findings published in Nature. Researchers found butterfly mutations of antennae, legs, eyesand wing development as well as changes to colour and spot patterns of wings. 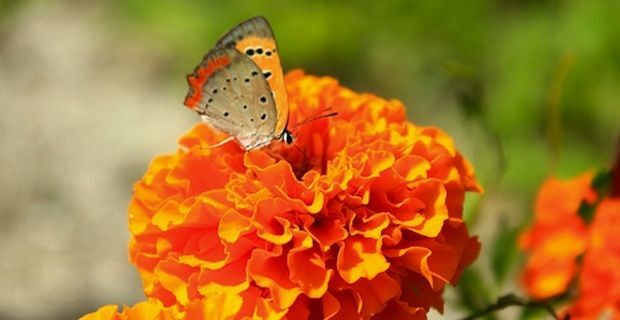 They also found that these mutations increased in spread among the following generations of butterflies and think that this is either because of genetic mutations passed down, or because of radiated food consumed by offspring. But what does this mean to us? This is significant because it is the first sign of ecosystems being affected by the nuclear accident. But as The Guardian reports, health officials still do not know how much radiation was released in the Fukushima explosion or how it will affect people, plants and animals, in-spite of this being the largest nuclear disaster since Chernobyl. What is known however, is that butterfly mutations have been discovered, they appear to be growing and that these mutations can be life-threateningto butterflies and their offspring. It would be in our best interest to find out if radiation from Fukushima nuclear disaster will affect human, animal and plant species. “Humans… should be far more resistant (to radiation than butterflies)”, Mr Otaki told The Japan Times, implying that we should have far less to worry about. But what degree of less is within our comfort zone? And as there is still very little information available, it is difficult to work out what exactly we’re dealing with. Historically, nuclear disasters do not bode well for health; we’ve seen human cancers, chronic diseases and animal mutations so far. So could any release of radiation (low or high dose) into the environment on this scale be ok? Unfortunately, we do not have enough information about how low-doseradiation might influence living things, ecosystems and chronic diseases. But whatever your conclusions, the picture does not look rosy.